People with celiac disease or who are gluten intolerant may benefit from a low-gluten diet. A considerable number of people who do not have these diseases still adopt a gluten-free diet in the hope that it benefits their health. New research, however, suggests that a low-gluten diet may even have some adverse health effects, by raising the risk of diabetes. 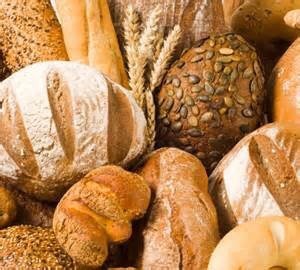 New research suggests that a higher intake of gluten for people who do not have gluten intolerance may lower the risk of type two diabetes. Gluten is a protein mainly found in wheat, barley, and rye, as well as baked goods and other foods that contain these cereals. People with celiac disease – an autoimmune disorder affecting at least 3 million people in the United States – avoid gluten because their immune system responds to it by attacking the small intestine. However, more and more people are adopting a gluten-free diet, despite its health benefits being unclear. In fact, some nutritionists advise against avoiding gluten. Instead, they recommend a well-balanced diet that includes fruit and vegetables, as well as whole-grain wheat and other foods containing gluten. New research – presented at the American Heart Association’s Epidemiology and Prevention/Lifestyle 2017 Scientific Sessions – suggests that a low-gluten diet may have adverse health effects by raising the risk of type 2 diabetes. The team approximated the gluten consumption for 199,794 individuals enrolled in three long-term studies: the Nurses’ Health Study (NHS) I and II, and the Health Professionals Follow-up Study (HPFS). As part of these studies, participants answered food frequency questionnaires every 2 to 4 years. Overall, participants consumed under 12 grams of gluten per day. The average daily consumption was 5.8 grams for the NHS I study, 6.8 grams for NHS II, and 7.1 grams for HPFS. Researchers followed the participants for approximately 30 years, between 1984-1990 and 2010-2013. Throughout the 30-year follow-up period, 15,947 cases of type 2 diabetes were identified. The study found that participants who had the highest gluten intake – up to 12 grams per day – had a lower risk of developing type 2 diabetes over the 30-year follow-up period. Those who ate less gluten also had a lower cereal fiber intake. Fiber is known to protect against type 2 diabetes. After adjusting for the protective effect of fiber, participants in the upper 20 percent on the gluten consumption scale were 13 percent less likely to develop type 2 diabetes, compared with those on the opposite end of the scale – namely, those whose gluten intake was below 4 grams per day. “People without celiac disease may reconsider limiting their gluten intake for chronic disease prevention, especially for diabetes,” says co-author Zong. Limitations of the study include its observational nature, which means that it cannot establish causality, and the fact that more research is needed to confirm the findings. Additionally, the researchers did not include data from those who have eliminated gluten from their diet completely. Previous Should You Rinse Chicken? Not With Water, at Least – Epicurious Next Spring Hath Sprung !